Canadian PM Justin Trudeau to make “sweet beautiful love” to every woman in Canada. Posted by Jason O on Nov 5, 2015 in Canadian politics, Not quite serious. 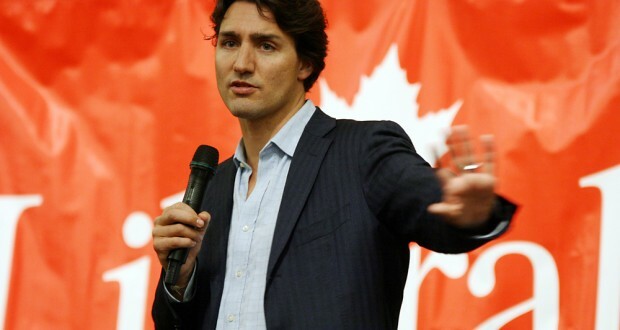 Newly elected dreamboat Canadian prime minister Justin Trudeau (Liberal) has pledged that he will sexually satisfy any Canadian woman who requests it. The well known feminist politician, fresh from appointing a cabinet made up of 50% men and women, announced that whilst it was hard for politicians to deliver on every promise, this was one he was certain he could deliver. He then repeated the promise in flawless French, as Barry White played in the background. Officials say the PM had a very busy afternoon. When asked would he make the same offer to gay Canadians, the progressive leader pointed out that he was prime minister and servant of all the people of Canada.